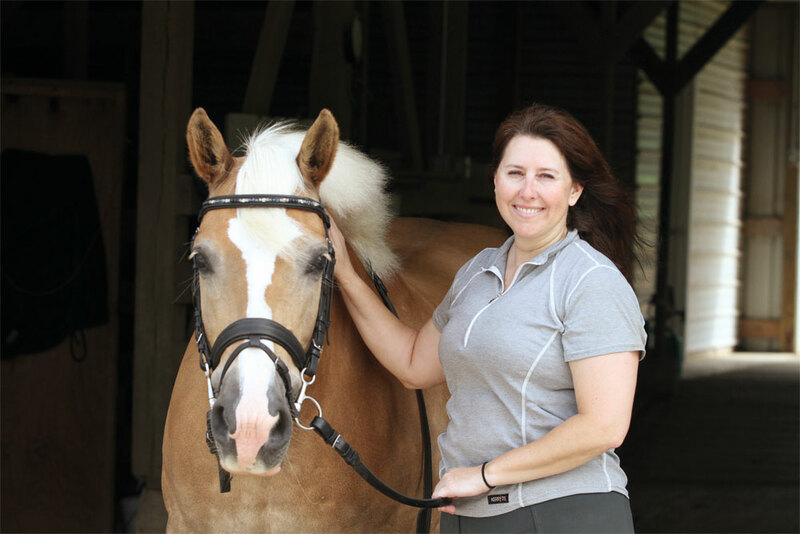 Kim and her Haflinger, Bailey TOF, have competed through Second Level in dressage. 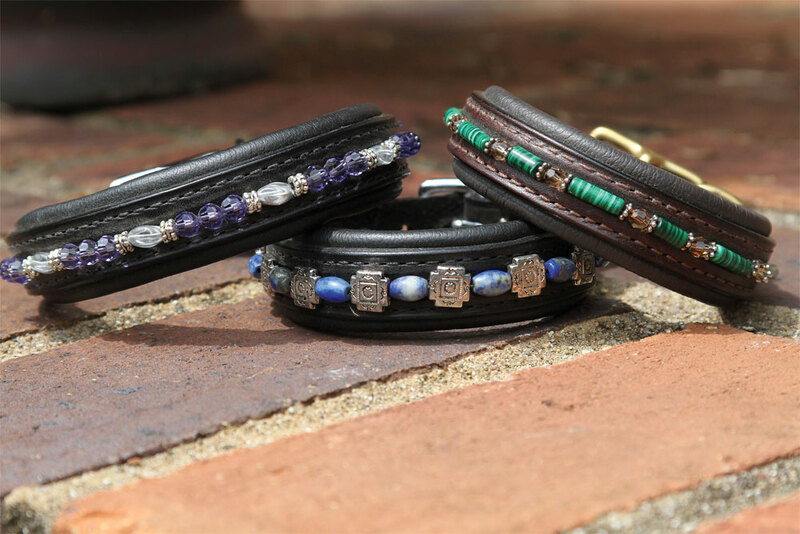 Handmade leather browbands accented with gemstones and beads are the centerpiece of Kim Phillips’ business, Enter At A. She also offers jeweled stock-tie pins and leather memory bracelets that riders can have made to honor a favorite horse. Enter At A has been in business since 2009, focusing primarily on custom orders. Depending on the item, the design process can take a day or a month. 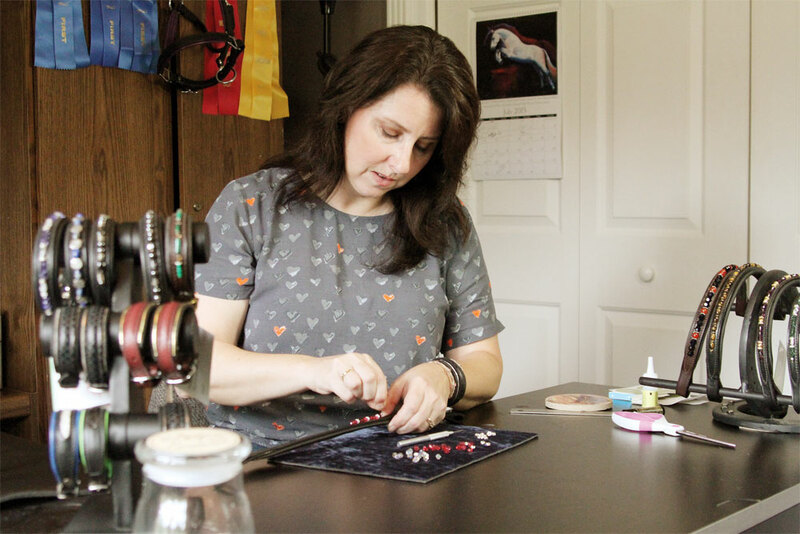 Phillips strives to create unique pieces that complement the horses she’s crafting them for. Bracelets can be accented with horsehair or beads to match a rider to her horse. Phillips has received a wealth of positive feedback from customers and has found word of mouth to be the best marketer for her. “Referrals are amazing and make me feel fantastic, whether in person or through social media,” she says. Another upside to being a business owner is being the boss. “I love working on my own and having the flexibility to change or try new things,” says Phillips. Although Enter At A hasn’t reached the point where it can cover all of Phillips’ horse expenses, it does help her pay for shows. Her goal, however, is to completely fund her horse hobby. Kim started her own business in 2009 to offer custom browbands at a more affordable price point.